This is a view of the 2004 summer exhibit. 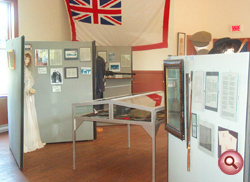 The Military Museum possesses a varied and diverse collection of artifacts dating to the Gaspe’s early militia history in the 18th and 19th centuries to collections from modern conflicts and peacekeeping operations of today. To date the museum has between 2,000 and 2,500 artifacts and we are still growing. Posted in this section are a few artifacts from our important and unique collection. This section of the webpage will take you through a virtual tour of the museum, outlining the various exhibits that are on display. 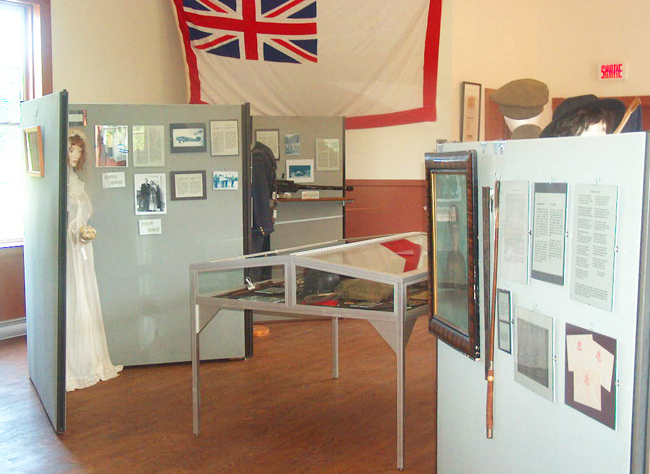 For a more detailed look at some of our artifacts, please visit our exhibit at The Virtual Museum’s of Canada. Click the next button to begin your tour!